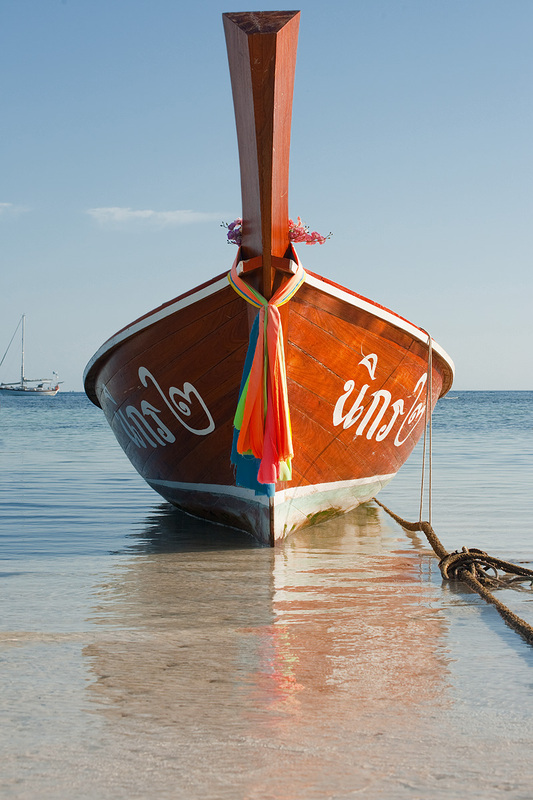 Ribbons tied to the bow of a longtail boat. After a month off from photographing, I'm finding it hard to get back into the groove. It doesn't help that this island is ideally suited for sitting and overeating with an occasional dash of swimming. However, I've begun to take my evening walks around the island for some exercise and I'm starting to carry my camera more so hopefully I won't confine myself to photos taken only within a stone's throw from my bungalow. 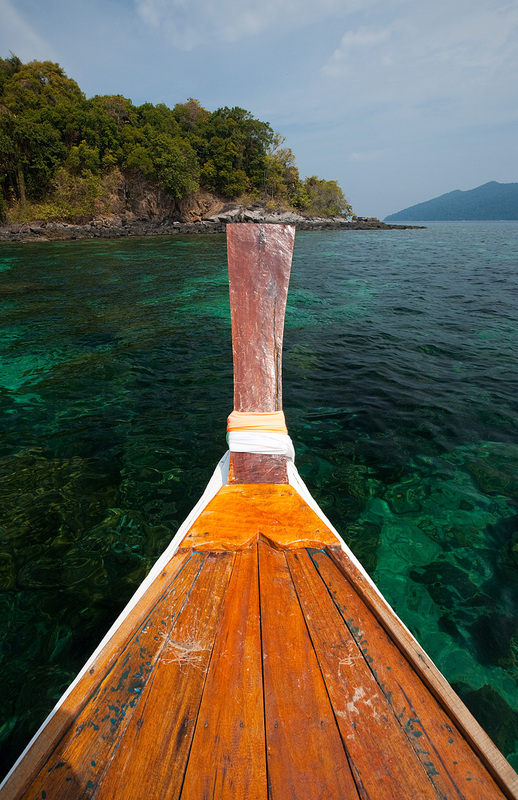 The bow of a longtail boat overlooking crystal clear snorkeling water.